SWBAT work through the steps of the Engineering Design Process to build a structure out of newspaper and tape that can support the most weight. 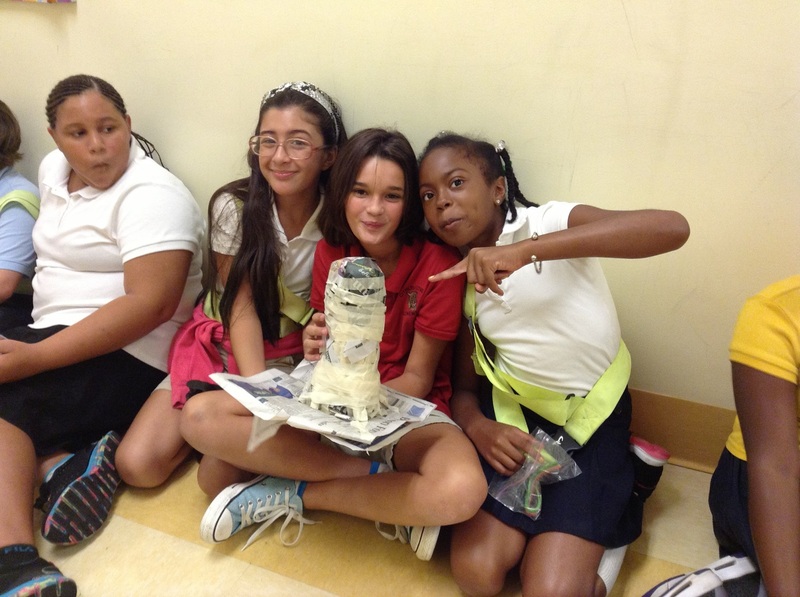 Students work through the scientific process of engineering by researching, planning, building, and testing a structure built of nothing but newspaper and tape that can hold the most weight. The engineering design process is a process used by scientists in the real world. This process encourages scientific thinking and promotes team work. This lesson is directly linked to standard 3-5-ETS1-1: Define a simple design problem reflecting a need or want that includes specific criteria for success and constraints on materials, time, or cost. I provide a task sheet to each group prior to beginning the process which includes limitations for meeting their objective. Groups must consider these limitations while planning and building. While researching and planning, students will see a variety of designs and group members may have different ideas that need to be considered. By working through this process, the activity also covers standard 3-5-ETS1-2: Generate and compare multiple possible solutions to a problem based on how well each is likely to meet the criteria and constraints of the problem. Besides directly teaching the engineering design standards, you can also make connections between forces acting on the structure and books such as gravity, which is a standard that will be covered later in the year. Reading standards are connected to this lesson as well through the research process. Standard RI.5.7: Draw on information from multiple print or digital sources, demonstrating the ability to locate an answer to a question quickly or to solve a problem efficiently, is covered through this activity. Math is also connected through measurements made requiring them to apply math practice MP.5: use appropriate tools strategically. Print out a copy of the Engineering Design Process chart for each student, students will be gluing this into their notebooks. be prepared to model how to use the 2 inch piece of straw to roll a newspaper rod (there is a video of a student doing this correctly in the guided practice section). I begin the lesson by going over the Engineering Design Process chart that I have created. I provide a copy for each student to glue into their science notebooks. We discuss how this process is similar to the scientific method and how it is different. I record some of the ideas they share on the board. Both begin with a question or problem. You create a plan for both. Both are flexible and may need to be adjusted as you work through them. You share your end results with others. You have a hypothesis with the scientific method but not with the engineering design process. 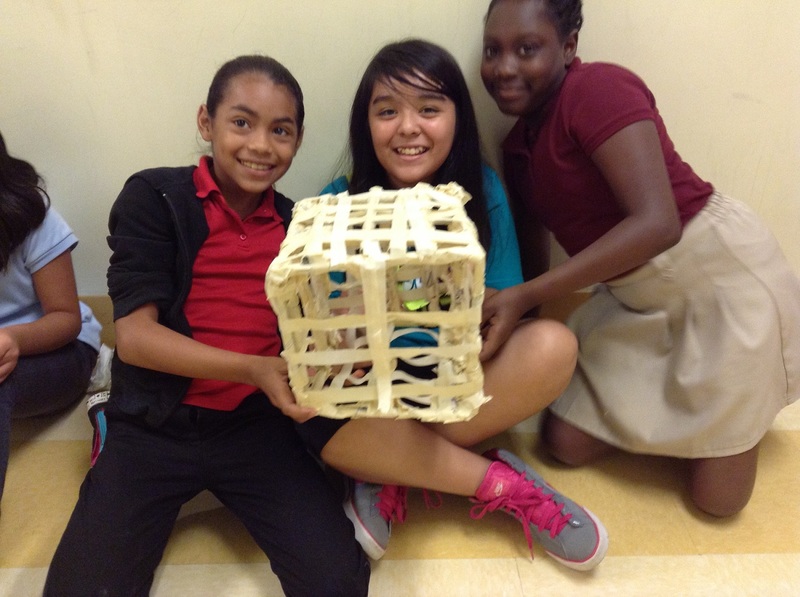 You build something in the engineering design process but not with the scientific method. Your plans are different for both. The engineering design process you draw a model, the scientific method you write out materials and procedure. You must test an experiment at least 3 times. You have to be able to control variables in an experiment. There are a few that are key similarities and differences that I stress to them by starring them on the board. I star the first similarity, that they both begin with a question or problem solve. I also star that both are flexible and you may have to adjust as you go. One key difference that I stress are that there are repeated trials in an experiment (there could be in the engineering design process as well but it is a must for experimentation). I also star the difference related to variables because that is the main focus of the scientific method, that students must test in a controlled environment. I pass out colored cards to each student in the class. No students know what the colors mean, they think I randomly chose who got what color. The colors actually served a purpose, to create heterogenous ability groups for the project. I have 5 high students in the class, each of them received a blue card. I have 10 ESE in the class, each of them received a yellow card, and I have 5 students of average ability level left, these students received green cards. I like to allow students to choose their own groups for the project, but I don’t want it to end up with all of the high kids in one group. I tell the students they may choose their group, but their group must consist of one student with a blue card, one with a green card, and two with yellow cards. After choosing their groups, I provide each group with a copy of the Engineering Design Project 1 task sheet. I review the objective, materials, limitations, and things that are allowed with them. I also demonstrate how to use the 2 inch piece of straw to roll the rods of newspaper. Students begin the design process by getting a laptop and researching possible ways to build their structure. I do not provide guidance or suggestions on websites to look at. I circulate while they research to ensure they are on sites relevant to the project and they always are. By not providing guidance, students have the ability to try different searches and when their search is not successful, make adjustments to try something else. If I gave them a list of sites, that is all they would use. Once they find a structure they like and would like to build, they draw a model and plan out how they will build it. They must submit a drawing of their planned structure to me prior to receiving their materials. The researching and planning took most groups approximately 20 to 30 minutes. I did have to have several groups go back and redraw because they brought me up pictures that just looked like a square. I did not have any information regarding what made up the square, the size of the square, etc. I asked them to add more detail so I could tell what the goal of their end product would be. Once I have approved their drawing, they get their materials and begin building. The building process took every but of the remaining 60 minutes, and many groups could have used more time. Getting the rods rolled was the most time consuming. Even though I modeled how to roll them, many groups still struggled with this. I spent time with each struggling group modeling again until they were able to roll tight rods. Because there was no limitation on tape, the groups used a lot of tape. They basically rolled their rods, and then reinforced each rod by wrapping it in tape. This took up quite a bit of time as well. Once groups had their structure built, they would test it by placing pencil pouches or shoes on them. They were not able to test them with books but they could place other items with weight on top to see if they were stable, and to get an estimate of how much they would hold. After 90 minutes of building, I ask students to clean up and prepare to test their structures. 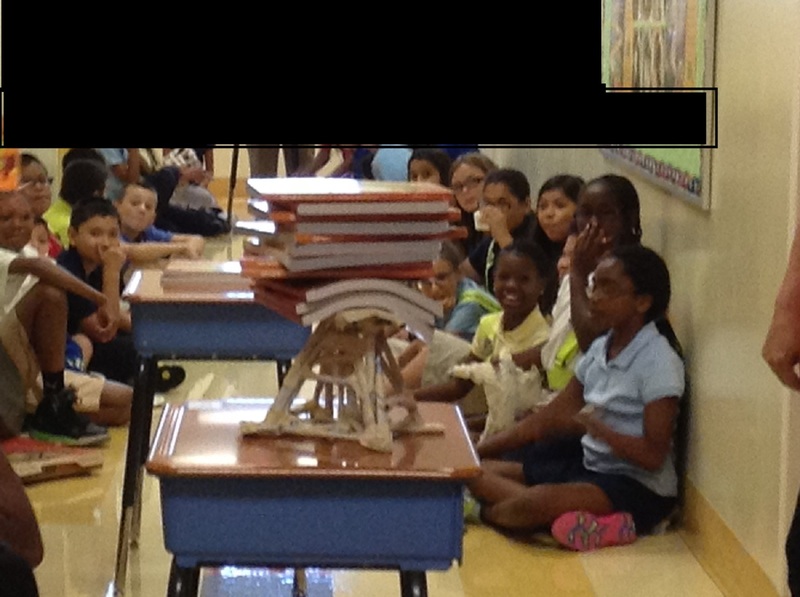 I set up a desk in front of the room and call one group up at a time with their structure. I add one book at a time until the structure collapses or the books spill off. The structure that held the most books wins. The winning structure is below. It held 12 books. We return to the classroom and discuss the similarities and differences in the structures. I have students reflect on what aspects made some structures better than others. Students identified things such as a wide base made it better, and having a flat surface for the books to balance on was important. They also told me that the structures that held multiple books, had support bands in the middle of the arms. I also asked students what made this project the most challenging for them. I got two answers, time to build was too short, and not being able to test it with the same books that would be used for testing made it difficult. I told them to remember the issue with time before we complete our next project and try to shorten their researching and planning time so they have more time for building. 5th Grade ELA Â» Step-By-Step to Producing Amazing Research Presentations!